Our Clients are what sets us apart. We have done hundreds of weddings with each receiving as much detail to attention as if it were our first. Our goal is to provide you with the very best service and information using our extensive local knowledge. Call 1-800-395-7807 and let us help you plan your dream wedding and honeymoon. We would like to thank you for this amazing experience. We had our dreams fulfilled in the Hawaiian beaches. Makena was the perfect spot… Everything will be in our memories as a blessing to our lifes. We just can’t say enough about how happy we were with the service Bill and his wife provided. Maui’d Forever is very professional and pays attention to detail. Bill and his wife provided that personal touch above and beyond. From planning the private dinner on the beach to picking the bride up at the hotel. Juddee Kawaiola performed a beautiful ceremony. Thank you Juddee for you beautiful well written ceremony you are very good at your craft. We feel very fortunate to have chosen Bill Armstrong with Maui’d Forever assisting in our wedding. Again thank you Bill and your lovely wife for all you have done. Thank you from the bottom of our hearts for coordinating the wedding of our dreams. 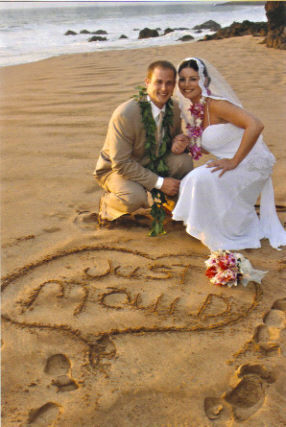 Because of your expertise and professionalism, we were able to enjoy our time in Maui without worrying about the wedding. Your selection of hair stylist, pastor, photographer and location were exceptional. You covered every detail without missing a beat. Every aspect of our wedding was perfect. We highly recommend Maui’d Forever!!! Thank you for contributing to make our wedding the most special day of our lives. It was a little nerve wracking to plan such an important event from so far away. Bill, you were absolutely wonderful to work with. I recommend Maui’d Forever with extreme confidence.